I also warned about relying too much on the ‘multiplatform’ concept – not dismissing it altogether but knowing multiplatform is code for web sites, social media, etc. PBS should concentrate on what they do: Television. There’s some plucked video on the site, and under the Next Avenue umbrella are a handful of PBS/Create TV offerings that have aired for years. Notice the tiny traffic bump in the beginning of July. I think this was when PBS began airing promos for the site. Through the grapevine I’ve heard that it’s been difficult raising money and/or finding underwriters for Next Avenue television projects. Don’t take my word for it, except my word that it’s a rumor. 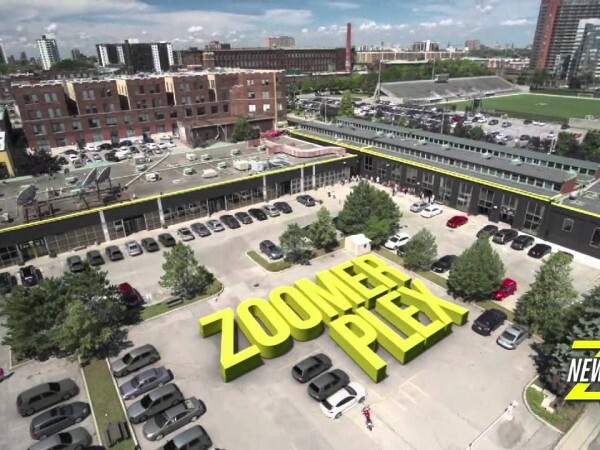 Let’s hope the $5 million in grants (promised or wishful thinking?) wasn’t all spent on the website. More from me, and more from Going Like Sixty. As I write this, Mitt Romney’s folks are getting pummeled by pundits for allowing the Obama folks to define Mr. Romney. Way back in 2008, John McCain’s folks tried to define Barack Obama, pinning the tag “Celebrity” on him to cheapen his image. That didn’t take, but could have. Obama’s folks countered with tagging their candidate as a breath of fresh air. Good for them. Maybe it’s just yours truly, but this approach gives me the heebie-jeebies. I don’t want to go to his birthday party. If I donate money to his campaign, I want it to help his reelection. Don’t buy me a cupcake with it. And, it’s all set up sort of like a lottery (or just like a lottery). Your chance of winning is a million-or-more to one. That’s a lot of losers. If I donate to Obama’s reelection and ENTER to WIN, I don’t want to end up thinking of myself as a loser. Baby Boomers’ votes are very important in this election, especially in swing states. Their concerns, regardless of political leanings, probably don’t include the distribution of cupcakes. Middle-aged and older adults living in battleground or "swing states" represent 41.90 percent of the population in those states. So the 2012 presidential contest may swing on choices made by undecided Baby Boomers and older voters in just ten states. 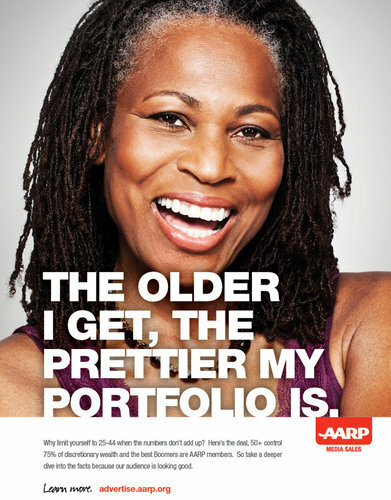 I've picked on AARP's advertising and marketing through the years. I think they can handle it. They're big boys and girls. 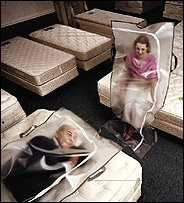 … The advertising campaign has one ad with ashen-faced Baby Boomers in body bags ("These days, doctors don't pronounce you dead. Marketers do."). Another shows Baby Boomers acting like testosteroned teenagers ("Outta the way, punks: older racers are the hot-rod kings!"). Yet another has one of a middle-aged lady dead in a powder room (probably from overdoing it on the dance floor) with police chalk outlining her body. I don't know what the copy is because I haven't seen it. It's probably something like, "Give me wrinkle cream, or give me death!" … AARP’s new marketing effort will promote the baby boom generation, as it ages, as a viable consumer target for advertisers. A new campaign aimed at advertisers themselves features people in their 50s and early 60s, and argues that brands should be focusing on them, not people ages 18 to 34, commonly referred to by the marketers who covet them as millennials. 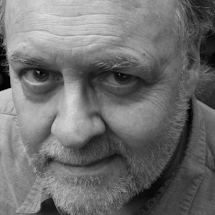 “The advertising industry in general puts an overemphasis on youth, and when boomers were young that was a very good advertising strategy, because when boomers were 35 in ’75 or ’85, there were 70 million of them,” Mr. Perello said. … If there is a tendency to pitch to younger consumers, one reason might be the blush of youth among those creating the ads. … Partly to save their hides, ad agencies turned their creative departments over to twenty-somethings. The sheer size of Baby Boomers made them the market—composed of scores of unwieldy cohorts. By attrition, this would have occurred naturally. It just happened ten or fifteen years sooner than with previous generations coming of age. Barely out of college, Baby Boomers were in control of marketing and advertising to themselves—and became successful at it. After all, we knew the market. … Along the way, there was a major marketing disconnect. We’re still the largest and richest demographic—but as far as advertising agen- cies are concerned, we’re off the radar. Baby Boomers who worked in the advertising industry have moved on; partly by choice, partly by design. In many cases we’ve been kicked out or kicked upstairs. Natural attrition. It was meant to be. It’s the normal course of events. We have left a positive and important legacy in the marketing and advertising worlds: racial and ethnic inclusion, lifestyle inclusion, tons more perceived markets. But we also left advertising agencies the Youth Culture. … Advertising agencies are image-conscious and want to be hip (again, residue from Baby Boomers). Not only do they not want to market to Baby Boomers—they simply want to do what they do best: market to themselves. 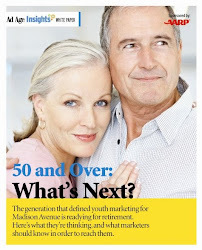 They certainly don’t want to be known as an agency that markets to older folks (The Geritol Syndrome). Much of the advertising in the June/July issue of the magazine is what might be expected, prescription and over-the-counter drugs, a blood sugar monitoring device, and amplifying earphones for television viewers with hearing loss. 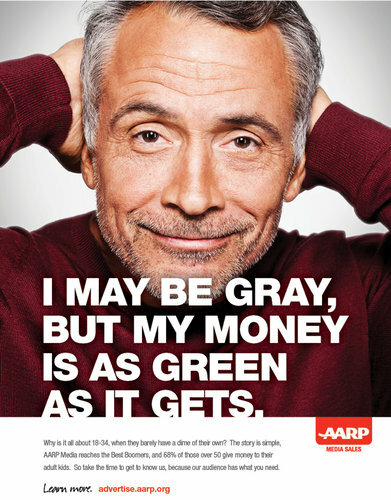 But there also are a few ads from brands that have nothing to do with infirmities, the type with which AARP hopes to gain more traction, like Stouffer’s Farmers’ Harvest meals and the Bose Wave music system. If every time someone over fifty sees a commercial targeting them and it’s always for an age-related product or service, pretty soon their eyes will glaze over, they’ll get itchy and grumpy. Baby Boomers who scream and jump in the air on their motor scooters. At least it’s an improvement over dead or crazed. Disclaimer: The target markets for this campaign are media planners and advertisers – so what do I know. My issue has to due with the portrayal of people 50-70 and a spillover into what might end up as B2C campaigns. I would have used people in real situations – hire a few top-notch photographers and send them every which way (with someone trailing with release forms, etc.). No hokey ad copy. This weekend while at Costco, I caught a grandmother (she shall remain anonymous) sending pictures of dresses to her granddaughter so the child could pick the one she wanted. Instant virtual shopping. Banner Ads = Happy Meal Toys…??? The New Price Of A Web Ad: Free? … To be clear, Microsoft wouldn’t really be “giving away” these ads, just turning them into a value-added offering whose price would be woven into the price of the premium ads it wants to push. In effect, a cheap banner ad becomes the crummy plastic toy in the Happy Meal. I respectfully disagree. Happy Meal Toys are GREAT. I’m not suggesting that you should be taking your grandchildren to McDonald’s – but if you have any or happen to be tending kiddies for whatever reason, you know what powerful magnets Happy Meal Toys are. For better or worse, they rank as one of the smartest and most effective advertising/marketing/promotional gimmicks in the history of civilization. Advertisers are getting wise to the drawbacks of marketing in the digital nest. I wasn’t planning on doing a Digital Distractions II – but there are so many digital distractions that it’s difficult to be distracted. Tongue-In-Cheek Truth: The “value-added” isn’t the toy, but the meal. …Product packaging for the baby boom generation is a major issue for them as individuals and also for the pharma industry as a whole, as they recognize the huge market that needs to accommodate expectations. "In England, they've done a lot of studies about 'wrap rage,' and it goes much deeper than not being able to open a bottle of medicine, for instance. It's anything, any consumer goods packaging that people have trouble opening, and as Baby Boomers are starting to age, they are very sensitive to this." Baby Boomers are starting companies at a faster pace than ever before … This means we may be witnessing a passing of the innovation baton to members of the older generation. 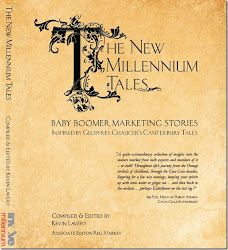 …A large section of the book is dedicated to helping Baby Boomer entrepreneurs get their marketing and advertising up and running. The problem with Facebook and other social media is that they were not designed to carry advertising. I wish you could read my Pilgrim’s Tale. It’s all about that.